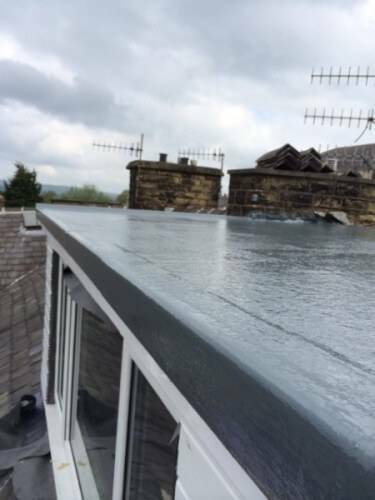 I was asked to fit a Fibreglass roofing system to a dormer roof another builder had build. Fibreglass roofing systems are something we specialise in and it will last years to come over traditional felt roofs. The trims were fit around the edges. 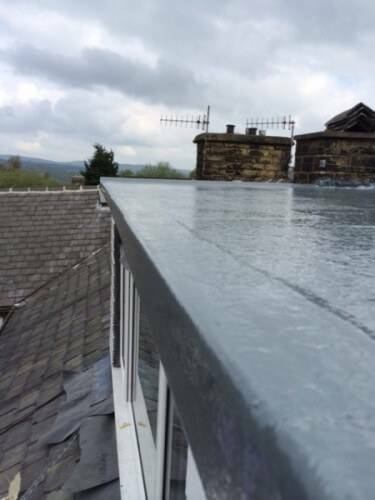 A drip edge was fit to the front of the roof to allow water to flow off into the gutter. 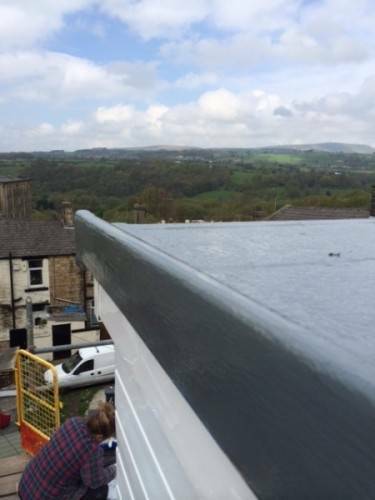 Ensuring water is flowing in the right direction with fibreglass roofing is very important and we spent a lot of time making sure this is just right. The ridge tiles were sitting straight on to the fibreglass. Once the trims were fit the resin was applied and the matting that was pre cut was applied to the OSB Boards. 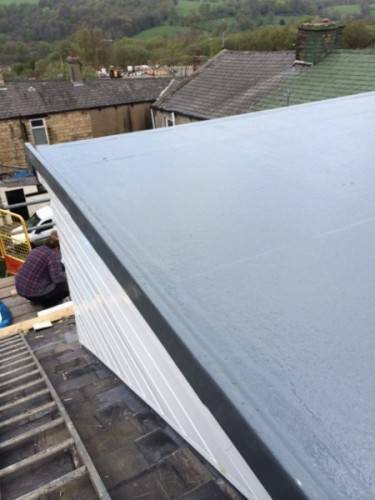 OSB sheets are the best form of wood for the fibreglass roofing system. the fibreglass adheres very well to OSB. The matting is pre cut as once the resin is mixed we only have a short amount of time to apply the fibreglass. 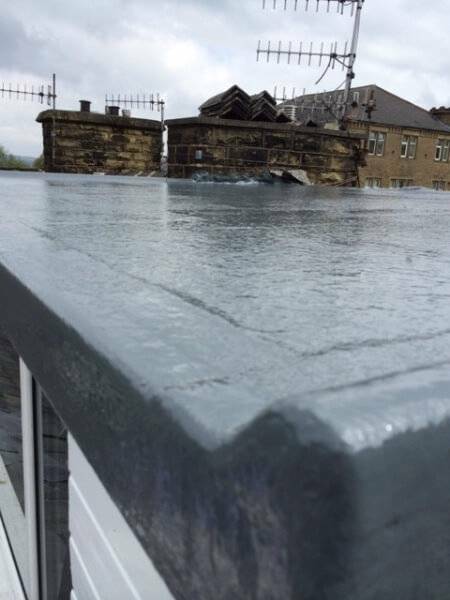 The resin and matting consolidated and a top coat of slate grey was applied. we can change the colour to a colour of your choice. This kind of roofing system will last a lot longer that any other system on the market. Depending on the catalyst the fiberglass is safe to walk on within hours. 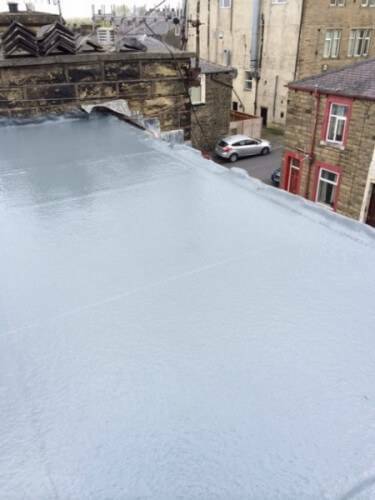 For a quote on our fibreglass roofs please visit our contact page and we can arrange a consultation. 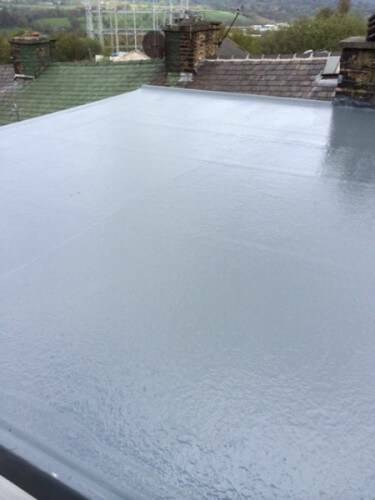 Call 07985711011 if you would like a estimate on any fibreglass roofing systems to your property. TF Building is a Skipton based roofing company that specialise in fibreglass roofing.